The Trump administration is poised to launch an improved version of databases showing how much the federal government spends on prescription drugs for seniors and low-income people as part of its recent tough talk on the U.S. drug industry. For the first time, the drug spending dashboards published by the Centers for Medicare and Medicaid Services will display year-over-year changes in how much the agency spends on individual drugs for Medicare and Medicaid, according to details provided in advance to The Health 202. The agency is also expanding both databases to include a majority of drugs prescribed under the dual federal insurance programs, instead of only drugs driving the most spending. The Obama administration launched the project in 2015 as a way of bringing more transparency to drug costs, but the new administration hadn’t updated the dashboards until now. The update is part of several transparency efforts being advanced by top Health and Human Services Department officials, who have spent recent days cheerleading the proposals to reduce drug spending rolled out by President Trump last week. The plan, dubbed American Patients First, directs the Food and Drug Administration to start reviewing potential regulations to ensure drug manufacturers include the list price of medications in their advertising. In a speech yesterday, HHS Secretary Alex Azar drew attention to the idea, saying it’s “unfair” for patients to remain in the dark about whether a drug costs $100 or $50,000. And FDA Commissioner Scott Gottlieb told reporters to expect the launch of a new website on Thursday displaying letters the agency sends to brand-name drugmakers ingaimed at prevent competition by making it hard for generic drugmakers to obtain enough medicine samples necessary to create medicines. Gottlieb has often called out brand-name companies for abusing a mandated safety program in order to keep large quantities of drugs out of the hands of their competitors. Posting FDA letters to these companies could “potentially serve as a deterrent to engaging in these practices,” Gottlieb said. The drug pricing dashboards hadn’t been changed under the Trump administration, even though the Obama administration aimed to update them every year. When Niall Brennan, CMS's former chief data officer, created and launched the initial dashboard, it included data on only 80 drugs under Medicare. To be included, the drugs had to fit into at least one of three categories: They cost a lot per person; they cost a lot overall; or their prices had grown exponentially over the past year. Since Trump's election, HHS has kept several important public data sets updated – including a massive database showing the prescription practices of Medicare doctors. But the drug spending dashboards have remained static. That led Democrats to complain the agency was dragging its feet. Last month, Rep. Frank Pallone Jr. (D-N.J.) sent Verma a letter asking why the dashboards hadn’t been updated and asking her to prioritize them. “The failure to update the dashboards raises questions about this administration’s supposed commitment to lowering the price of prescription drugs for the American people,” Pallone, the top Democrat on the House Energy and Commerce Committee, wrote. But it’s not surprising the administration would wait until this week to finalize the update, given all the public events, briefing and interviews Azar and Verma have been doing to draw attention to the push on drug prices. The changes aren't likely to excite the pharmaceutical industry, which objected when the dashboard was first launched. Drugmakers said that the transparency tool presented a misleading and incomplete picture of actual Medicare spending by focusing on the most expensive drugs over the highest-volume drugs. They also argue that it doesn't reflect the hefty rebates by pharmaceutical manufacturers to insurers. But, as Brennan noted to me, drugmakers could disclose the size of their rebates, which are partly blamed for prompting higher list prices. They just choose not to. “They have an objection to anything that attempts to highlight or document high prescription drug prices, so I don’t think our effort was particularly egregious,” Brennan said. There’s more work CMS could do around the databases to make them more user-friendly, however -- especially if the goal is to -expand its usefulness beyond health-policy wonks, industry insiders or journalists. AHH: Meet John Zhang, the Chinese-born, British-educated founder and medical director of a Manhattan fertility center that is blowing up the way humans reproduce. Zhang was the first doctor to make possible a three-parent baby, by extracting a woman’s nuclear DNA, which carries the biological material responsible for such things as physical appearance and other major traits, inserting the DNA into a healthy donor egg and fertilizing it with sperm from the woman’s husband. The child, a boy born in 2016, appears to be healthy. “For some, the 'three-parent baby' was a joyous miracle of 21st-century medicine,” The Post's Ariana Eunjung Cha writes. “For others — including U.S. regulators — the baby’s birth marked an unnerving step down the slippery slope of tinkering with human life in ways that are not fully understood.” It didn’t help that Zhang’s company soon began to market the technology through his two companies, New Hope Fertility Clinic and Darwin Life, which offered to take DNA from older women and put it into donor eggs from younger women so that women of almost any age could bear their genetic children. “The proposed service landed him in the crosshairs of the Food and Drug Administration, which for decades has had a mostly hands-off policy when it comes to the fertility industry,” Ariana writes. “Last August, the FDA ordered Zhang to stop marketing the technology, effectively shutting down the program ... In a warning letter, FDA officials said Congress had effectively prohibited the genetic editing of heritable traits in human embryos in 2015 and that Zhang did not have approval to proceed with his research ... the FDA warned, 'such human subject research cannot legally be performed in the United States. Nor is exportation permitted.' "
OOF: Nineteen people have died of Ebola in the Democratic Republic of Congo and at least 39 people are suspected or confirmed to have the virus, the World Health Organization said yesterday. Another nearly 400 people who have been identified as contacts of Ebola patients were being assessed, our colleague Kristine Phillips reports. OUCH: The number of U.S. workers who tested positive for cocaine and methamphetamine use skyrocketed last year, while fewer employees are using prescription opioids, The Post's Katie Zezima reports. According to an analysis of more than 10 million drug tests administered by Quest Diagnostics, 4.2 percent of workers who were screened for drug use last year tested positive. The rate remains unchanged since 2016, but it still remains significantly higher than in 2012, when 3.5 percent of employees tested positive for drugs. “Not only have declines appeared to have bottomed out, but also in some drug classes and areas of the country, drug positivity rates are increasing,” said Barry Sample, senior director of science and technology at Quest Diagnostics. "Positive testing for methamphetamine has skyrocketed in the South and Midwest in the past five years," Katie writes. "Between 2013 and 2017, positive drug tests for methamphetamine increased by 167 percent in the region that includes Illinois, Indiana, Michigan, Ohio and Wisconsin and 160 percent in Alabama, Kentucky, Mississippi and Tennessee...There also has been a surge in positive tests for cocaine. In Nebraska, there was a 91 percent increase in positive cocaine tests from 2016 to 2017, and an 88 percent increase in Idaho." — Senate Majority Leader Mitch McConnell (R-Ky.) said he spent part of the weekend in Arizona with Sen. John McCain (R), telling senators on the floor yesterday he “didn’t want to miss the opportunity to tell him what his friendship meant to me" as McCain fights brain cancer. On the fifth day the White House declined to publicly apologize for the remarks, some Senate Republicans blasted the non-response, per Politico’s Burgess Everett and Eliana Johnson. “Just out of common decency they should apologize. And the person who said it should apologize. It’s wrong,” Sen. Rob Portman (R-Ohio) said. — Some of the biggest recent health-care mergers have involved nonprofit hospitals linked to the Catholic Church, meaning church officials have had a say in what mergers go forward. Now the Vatican is getting involved, the Wall Street Journal’s Melanie Evans reports. “A proposed union between Catholic Health Initiatives and Dignity Health would create one of the largest U.S. hospital owners, with $28 billion in annual revenue," Melanie writes, noting that the archbishops who have already OKed the deal agreed in December to seek the Vatican’s approval. But the Vatican hasn’t yet made a decision. The statement referred vaguely to an “embolization procedure to treat a benign kidney condition," which involves inserting a catheter as part of a procedure to block a blood vessel and cut off blood supply to the affected area, Jenna and Lenny explain. No additional details about the first lady’s procedure were disclosed. — Former Senate Democratic leader Harry Reid (Nev.) has been diagnosed with pancreatic cancer and underwent surgery yesterday to remove his tumor, our colleague Seung Min Kim reports. The 78-year-old former Nevada senator had surgery at Johns Hopkins Cancer Center in Baltimore and is planning to have hemotherapy treatments. Reid led the Senate Democratic Caucus for a dozen years before he retired in early 2017. — Yesterday, the WHO announced a plan to eliminate the use of trans fats from food supplies around the world by 2023. 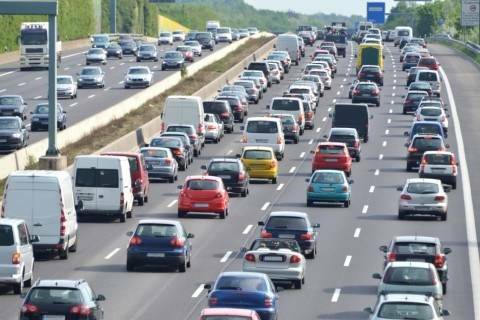 The organization believes it could save about 10 million lives by stopping the use of the industrially produced oil that has been linked to millions of premature deaths, the New York Times’s Andrew Jacobs reports. 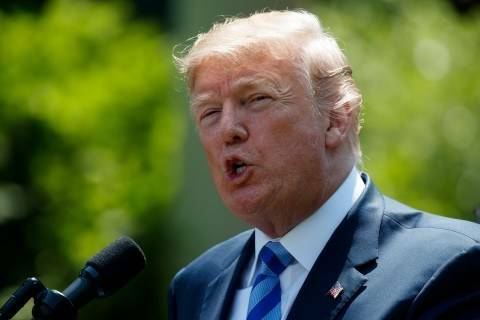 The United States, Canada, Britain, Denmark and Switzerland are among the countries that have already moved to restrict or completely ban trans fats, he adds. All products sold in the United States must be free of industrially produced trans fats. A new study, involving nearly 1,300 mothers and their children, looked at the effect of exposure during the third trimester of pregnancy. — The Susan B. Anthony List announced yesterday President Trump is scheduled to speak at the organization’s 11th annual Campaign for Life Gala. During next Tuesday’s events, senior White House counselor Kellyanne Conway will receive the 2018 Distinguished Leader Award from the antiabortion group and House Majority Whip Steve Scalise (R-La.) is also scheduled to speak. A candidate who promised to crack down on Wall Street and cut tax breaks for the wealthy has gone in the opposite direction as president. 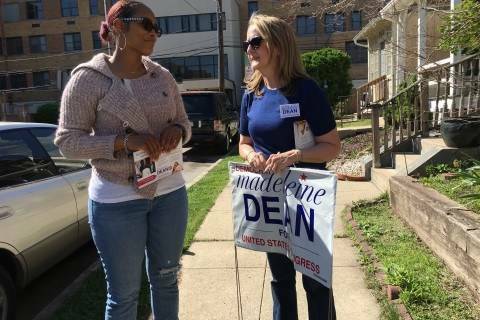 The Keystone State offers opportunities to pick up several House seats — just as soon as Democrats settle Tuesday’s messy primaries. 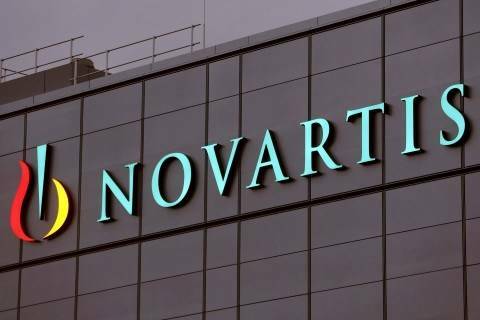 Novartis' troubled past, and its deal with lawyer Michael Cohen, reinforce perceptions that drug makers are all too willing to play sordid angles to achieve their goals. POST PROGRAMMING: This morning, The Post is holding a live news event featuring government officials, health-care industry leaders and public health advocates who will address how challenges posed by chronic diseases, access to health insurance and the future of Medicaid will affect the health of Americans. Watch the live stream here. The Senate Health, Education, Labor and Pensions holds an oversight hearing on the 340B program. AHIP holds a webinar on clinical data on Wednesday. Reps. Jackie Walorski (R-Ind.) and Terri Sewell (D-Al.) sponsor a hill briefing on “Increasing Patient Access to Non-Opioid Pain Management Therapies” on Wednesday.